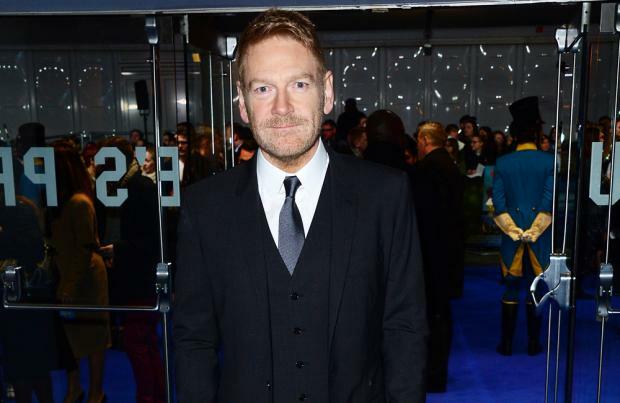 Sir Kenneth Branagh is reportedly preparing to direct an adaptation of Agatha Christie's 'Murder On The Orient Express'. The 54-year-old star, who helmed the recent Disney version of 'Cinderella', has been locked in discussions with 20th Century Fox about taking on the project, TheWrap reports. The movie - which is based on the 1934 detective novel - is currently being adapted by Michael Green, who wrote the new 'Blade Runner' film. Sir Kenneth made his name with a series of Shakespeare adaptations, but this project could well mark a further movie by him towards more populist material, having also helmed Marvel's 'Thor' and 'Jack Ryan: Shadow Recruit'. He also revealed earlier this year that he is "very hopeful" Martin Scorsese will direct a movie adaptation of his 2013 'Macbeth' stage production. The duo were said to have staged informal discussions about the idea and Sir Kenneth confirmed it was close to a reality. He shared: "We're practically there... We will remount the production and all things being well Mr Scorsese will direct a film version of that production. "Fingers are hovering above pieces of paper. Everybody wants to do it, it's just a question of schedules. I'm very, very, very, very hopeful it's going to happen."